This machine, adopting the classification technology of induced air and incoming material classifying wheel, classifies finished products and semi-finished products to their respective requirements. This machine, featuring of simple structure, convenient to operate and use, low intensity of labor, high work efficiency, advanced and reliable performance, long service life an durability, is applicable for classifying all kinds of material. Minerals: kaolin, mica, graphite, barite, quartz, calcium carbonate, argil, zircon sand, talcum, and etc; Medicines: bismuth carbonate, cortisone, penicillin, fulcin, cuprous iodide, nimodipine, and etc; Pesticides: carbendazim, mildothane, and etc. 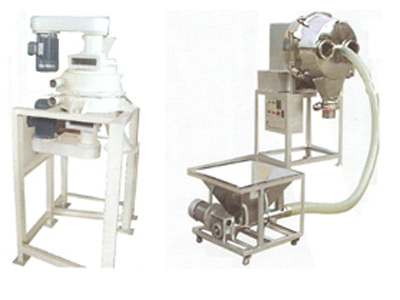 The QLS air-sieve, developed on the basis of assimilating and absorbing the advanced technology from abroad and abandoning the conventional principle that uses the gravitational potential energy to classify material, can greatly improve your work efficiency. When sieving and classifying a material, the sieve meshes are open and unobstructed under the back pressure generated by the cyclone air pipe's blowing. 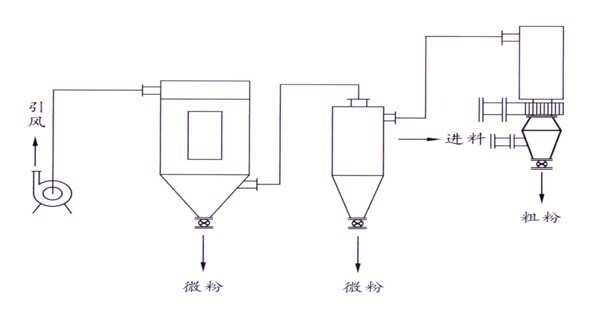 Simultaneously, those conforming particles of the processed material go through the sieve under the attractive force produced by the draft fan and are collected by the catcher and those coarse ones fall into the front cavity of the machine and are automatically discharged through the discharge valve. This machine is suitable for classifying dry materials in the ceramics and nonmetallic minerals industries, such as industrial medicines, graphite powder, resin powder, plastic powder, iron ore, talcum powder and electromagnetic material, etc.